South Beach Seafood Festival: In The Kitchen With Ralph Pagano, Naked Taco and LivingFLA. Save 20% at South Beach Seafood Festival with Code: LivingFLA. Cary here, from LivingFLA.com, ready for another excellent South Beach Seafood Week. Enjoy This “In The Kitchen” Guest Article From LivingFLA.com as We Get Ready For South Beach Seafood Week’s Chef Showdown With Executive Chef / Owner Ralph Pagano of Naked Taco. 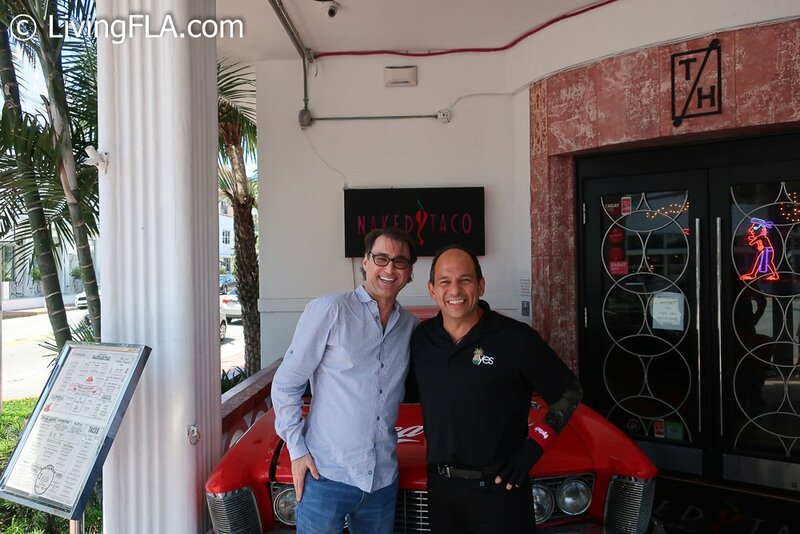 I recently enjoyed lunch at Naked Taco and interviewed Chef Ralph Pagano to get the scoop on his return to competition after being off the stage for some time. This was a great opportunity for me to get to know Ralph the man a little better. 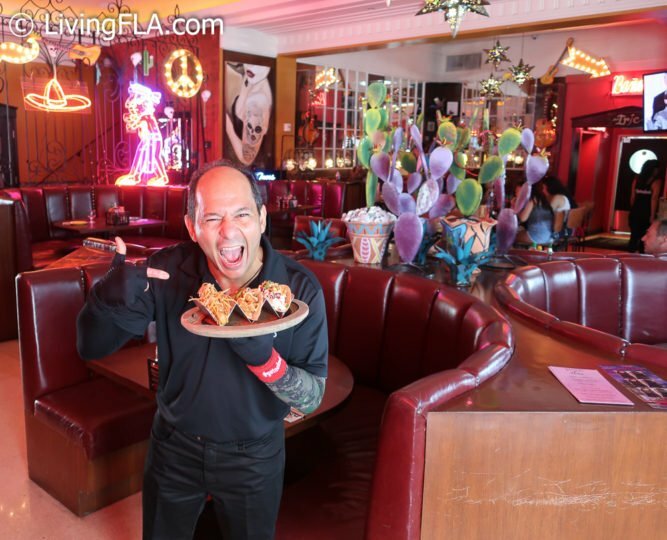 Ralph the Chef is well known as a local restaurateur and national celebrity on shows like “Hell’s Kitchen”, “(American) Iron Chef” and “Pressure Cook” to name a few. As everyone in the food world knows, Ralph was involved in an accidental kitchen explosion in a project at Resorts World Bimini in June 2017. He received 3rd degree burns over most of his body but the only visible signs now are the compression sleeves on his arms and hands. He is officially back and now known as #fireproof Ralph Pagano! When I arrived, Ralph greeted me warmly with a firm handshake. We sat down, and it was easy to see how passionate he is about his many Miami-based projects. I’m especially excited to tell you about a fun project he has coming up…trying to regain the Championship Title at the VIP Chef Showdown on October 19th! Before we get to that, I must say: Ralph is an inspiration and has a new appreciation for family, health and fitness. Even though he’s an in-demand celebrity chef, he’s adjusted his schedule to make more quality time with his wife and young twins. He runs and works out every morning! Ralph told me how much he loves the South Beach Seafood Week’s events. Of all the food and wine festivals in Miami, he looks forward to this one every year. He loves seeing all his friends – both chefs and restaurants guests – at this lively week on the beach! As I alluded to earlier, Ralph especially looks forward to the VIP Chef Showdown that takes place on Friday night during #SobeSeafood Week. I asked him about his upcoming battle…it’s a rematch of Battle Taco against his good friend Chef Bernie Matz of Bodega South Beach. Bernie has won the title three years in a row, but that is only motivation for Ralph. Ralph would not say much about the show he’s putting on during his battle. The Chef Showdown’s main event is highly anticipated and he is keeping the details under wraps! He did tell me he was looking forward to a friendly but fierce competition…and that he has a few tricks up his sleeve! Earlier I mentioned that I got to enjoy lunch with Ralph. Let me tell you all about these Naked Taco dishes, picked for me by Ralph himself! 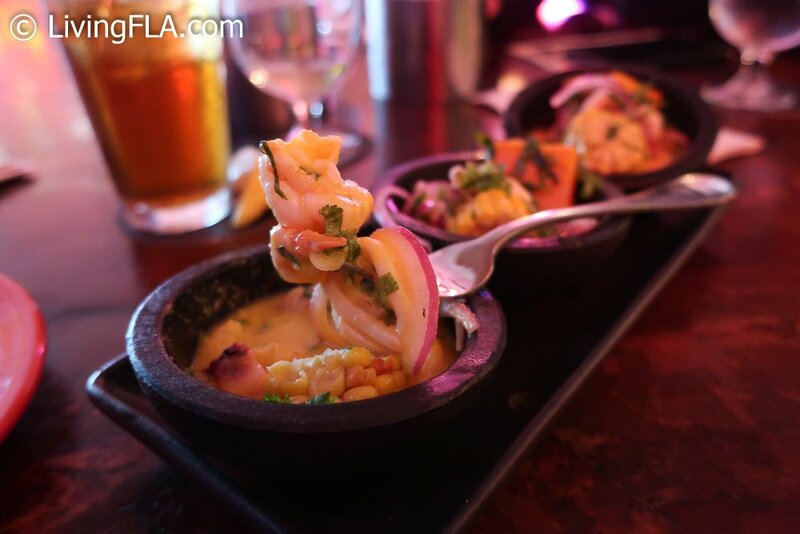 I started with an outstanding Ceviche Sampler. It was so incredible that I could have just made it my entire meal, but Ralph recommended I try more. 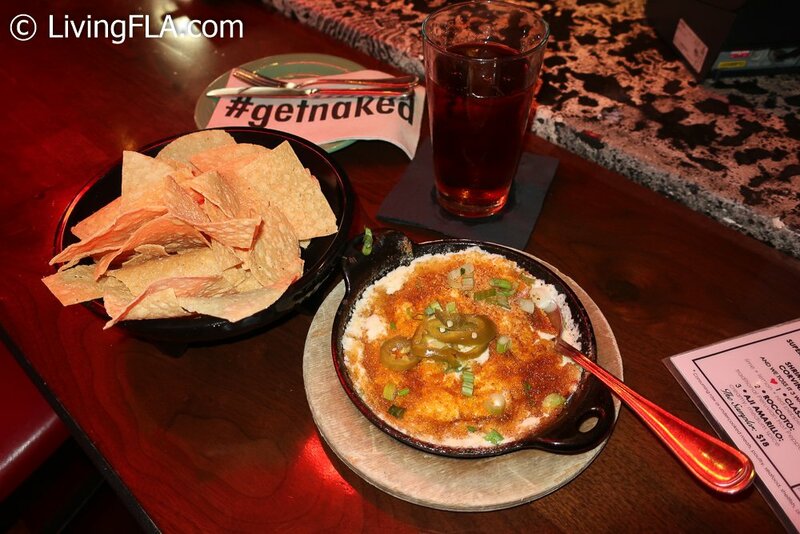 The Super Creamy Crab Dip was warm, a little spicy and delicious!! I had to stop myself from eating it all just so I could leave room for the next course. My trio of tacos were INCREDIBLE! They featured Lobster, General Tso Cauliflower and Crispy Key West Shrimp. 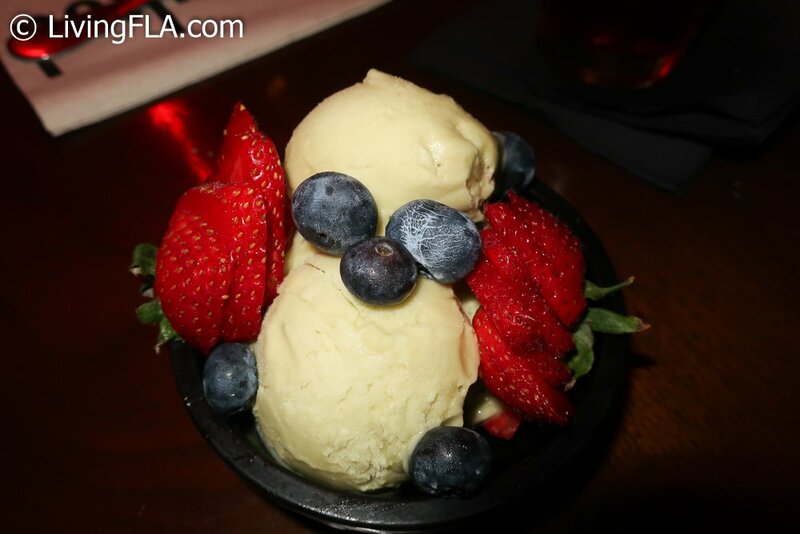 For dessert Ralph sent out homemade Avocado Ice Cream with fresh strawberries and blueberries. This was a perfect afternoon for getting to know Ralph and Naked Taco little better. I am very excited to root for him on October 19th at the all-inclusive VIP Chef Showdown and I hope you’ll join me! You can also look for Naked Taco at the South Beach Seafood Festival on Saturday, October 20th in both General Admission and VIP. His café on the sand is always one of most popular locations! For more Ralph, catch him as a guest host on the weekly Paul Castronovo radio show on Big 105.9 every Tuesday 8-10 AM. He’s also featured on Lifetime’s Balancing Act. His segment is called “quickbites” featuring two to four-minute recipes for easy-to-make lunch and dinner solutions. I told you he is a busy man!! 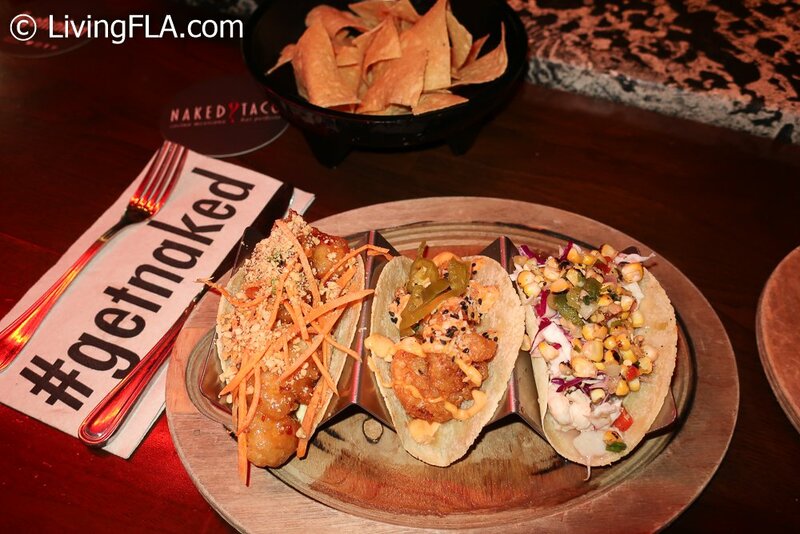 Naked Taco is located on the ground level of the Dream South Beach.